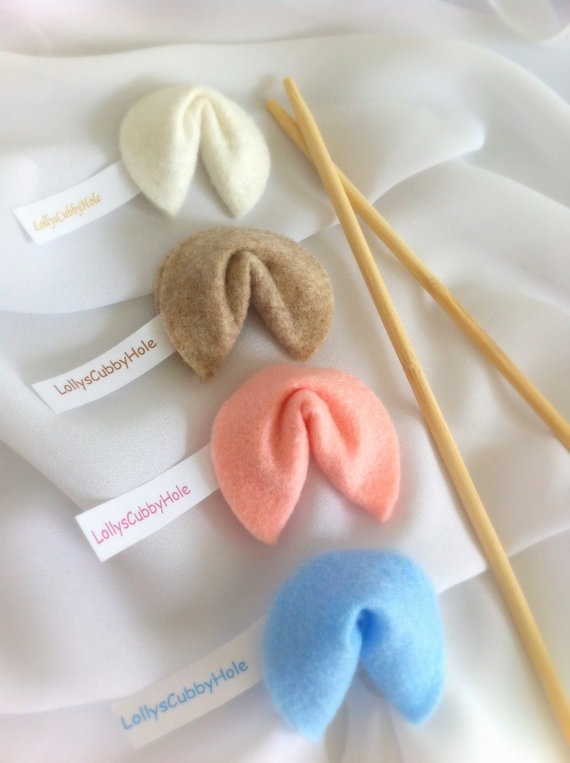 These Are a Few of tanaRi’s Favorite DIY Things! D-I-Y (Do-It-Yourself) activities have always been a form of self expression and creativity. What’s great about a DIY wedding is that it can be a fun, budget (and eco-friendly) contribution to your wedding as well as a good way to add personal touches that you & your guests can enjoy! 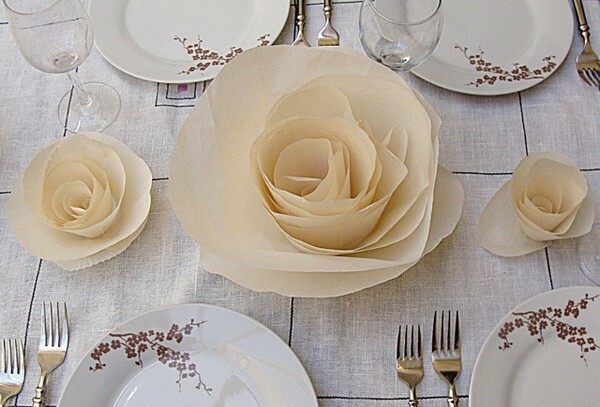 We’d like to share some of our favorite ways that DIY can be incorporated into your wedding! These are easy & unique ways to make a splash on your wedding day! 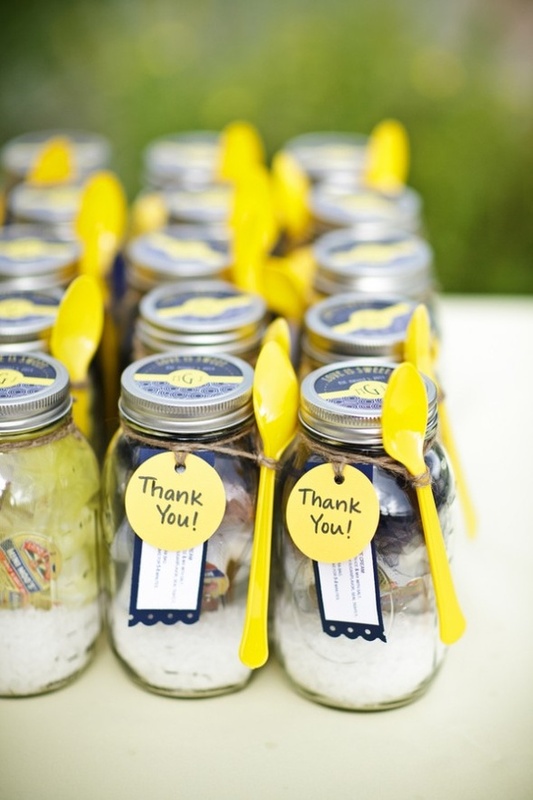 Mason Jars – what we love so much about Mason Jars is that there is so much variety with how they can be used. 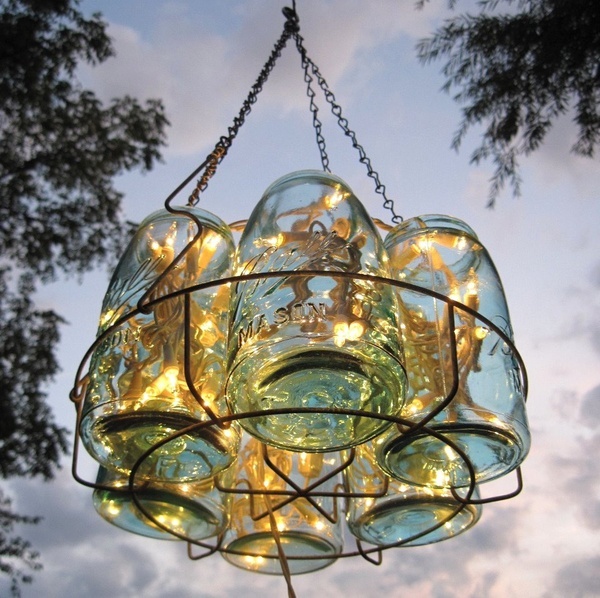 They can serve cocktails, act as lighting fixtures [by adding candles or glow in the dark lights], sit as table centerpieces [for the flowers or other detailing] or be used to provide the wedding favors! Wedding Favors – Couples want to show their guests their appreciation and support by providing thoughtful gift favors at their wedding. 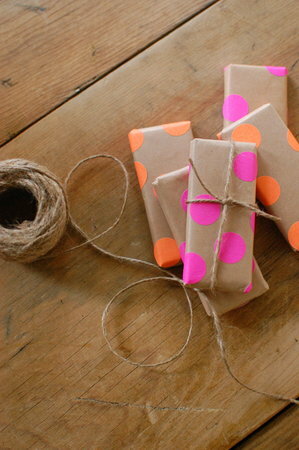 While this could become a pricey task based on the number of guests, there are tons of fun, easy, out-of-the-box ideas! Dessert jars, engraved jewelry boxes, or easy-wrap items [see to the left — use of colored polka dot stickers and yarn] are a few great ways to keep costs down. Floral Decor – floral accents are one of our favorite parts of the wedding decor! This is a great option for people who are having outdoor weddings in severe weather climates and fresh flowers could become compromised. 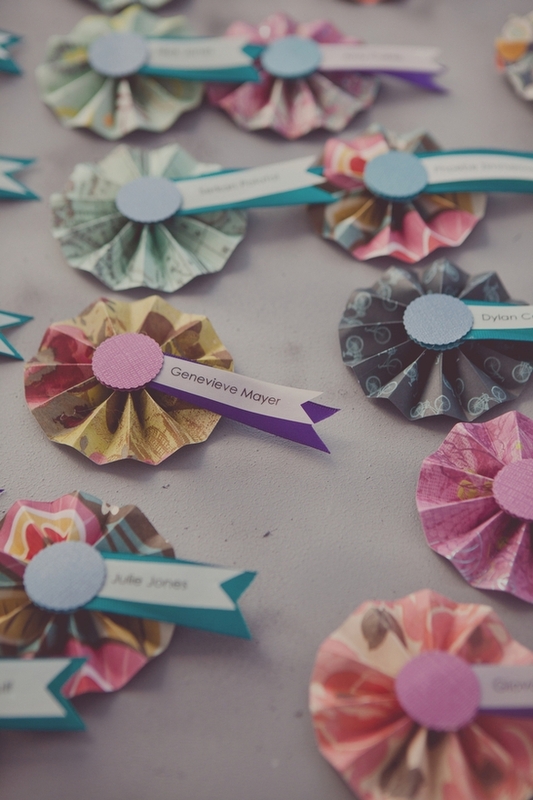 Materials individuals use for DIY flowers include felt, clay, coffee pots, newspaper, tissue paper & paper bags! 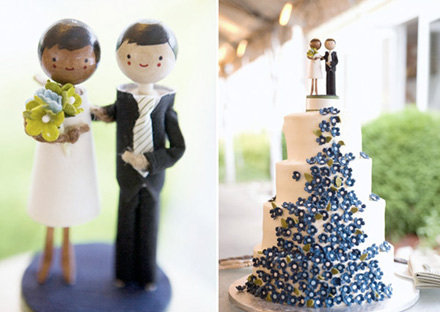 Cake Toppers – Couples can enjoy many different cake topper options that are simple and easy-to-do! 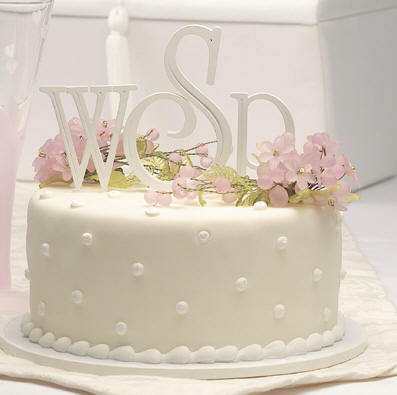 This is a good way for couples to bring out the quirkiness or elegance of the wedding cake. 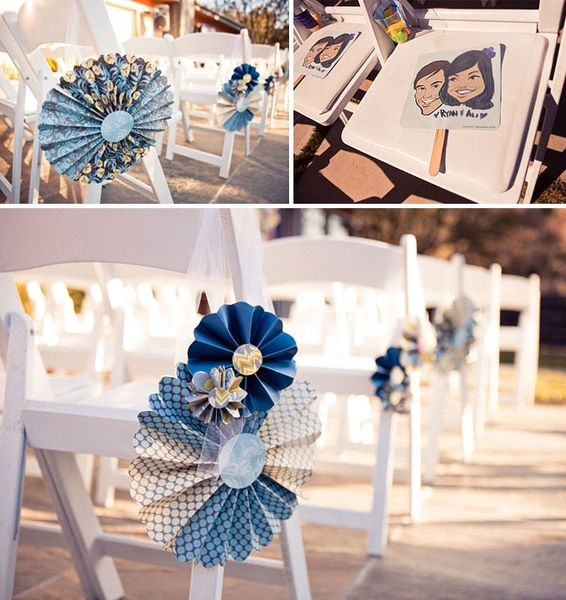 Some examples include animal decor, stick figures or first name initials of the couple! 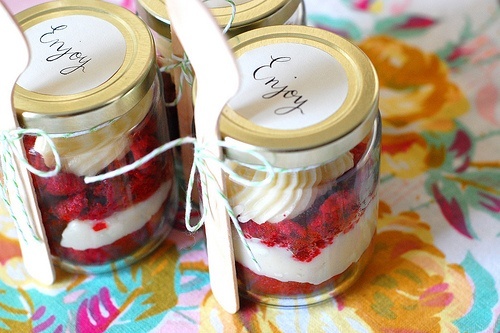 Be sure to check out more DIY inspiration & tips at our Mason Jars and DIY Pinterest pages!